Email spoofing, forging an e-mail header to make it appear as if it came from somewhere or someone other than the actual source, has become a world-wide problem. Though it can be legitimate, it is usually fraudulent and often used in spam and phishing emails to hide the origin of the message. We've all received scams via email that appear to be from our bank or from some other well-known sender but obviously aren't. Because core SMTP doesn't provide any authentication, it is easy to impersonate and forge emails. Sender Policy Framework (SPF) is used as one of the standard methods for fighting spam by helping email systems verify the identity of a message sender. This protocol works by defining TXT records in a domain's DNS zone which can be used to validate legitimate email sources from a domain. The string placed within the TXT record specifies a list of authorized host names and IP addresses that mail can originate from for a given domain name. More and more email systems are adopting SPF and we've repeatedly seen an increase in email deliverability among our customers who have implemented SPF. If your domain does not have an SPF record, some recipient domains may reject messages from your users because they cannot validate that the messages come from an authorized mail server. SPF records are added the same way as a regular A, MX, or CNAME record. The domain administrator publishes a DNS TXT record with a specific syntax that lists all SMTP servers that are valid to send email messages for your domain name. Then, when an email system that has implemented SPF receives a message, it checks the FROM line of the email message. It queries public DNS to find the appropriate TXT record and parses the appropriate SPF information. If the message was sent from an authorized SMTP server, the message is stamped with an SPF x-header that indicates the message "passed" the SPF check and the message is delivered. If the message was sent from an SMTP server that is NOT authorized, the message is typically rejected. If the domain owner has not specified an SPF record, the message will be stamped with an SPF x-header that indicates it is “unknown" whether or not the message should be trusted. First and foremost, you have to determine all the servers that send mail for your domain name. This is the most time consuming part of creating an SPF record. The more precise your list of sending servers, the more authoritative your SPF record will be. Once this entry is placed within the DNS zone, no further configuration is necessary to take advantage of servers that incorporate SPF checking into their anti-spam systems. This declares that this entry is an SPF version 1 record. This declares that any servers that have valid mx records associated with your domain.com are valid sending servers. This declares mail can originate from this IP address or network range. 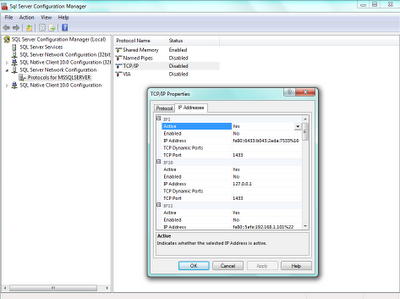 You may specify a network range by appending slash notation subnet. This mechanism typically goes at the end of the SPF record and designates the IP addresses you list are the only acceptable sending IP addresses and that all others are prohibited. To learn more about using SPF records for more advanced configurations, visit the SPF Project's page on SPF Record Syntax. If you're looking for shortcuts, there are many online tools help you create an SPF record quickly and easily, such as the Microsoft SPF Record Wizard. Every industry needs a watchdog, someone who keeps a close eye on things. 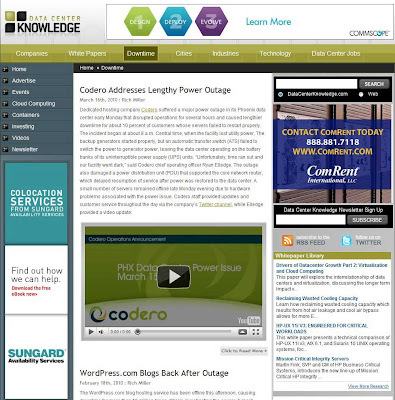 The hosting industry is fortunate to have Data Center Knowledge doing just that. The articles are well written and straight forward. If you've ever wanted to know what really happened to cause the Amazon Cloud to dry up or how a car crash was able to take down Rackspace or why the Planet (now Softlayer) caught fire then you'll want to put Data Center Knowledge on your must read list of Web sites. There may be times when being able to connect to SQL Server using Studio Manager remotely rather logging in with Remote Desktop is preferred. Here's how to configure SQL Server 2008 to allow remote connections. Please note that you should check with your hosting provider to determine the best TCP Port to use for your specific security configuration. First, configure SQL Server 2008 to allow remote connections. Click Start, point to All Programs, point to Microsoft SQL Server 2008 R2, point to Configuration Tools, and then click SQL Server Configuration Manager. Click SQL Server Services, make confirm SQL Server (SQLEXPRESS) and SQL Server Browser running. If SQL Server Browser is stopped, then select its properties and point to Service tab, change the Start Mode Disabled to Automatic, click the apply button, then click start option using right mouse click over SQL Server Browser. Click SQL Server Network Configuration, point to Protocols for SQLEXPRESS, point to TCP/IP, make sure TCP/IP status is Enabled. Open TCP/IP Properties form using right mouse click over TCP/IP, point to IP Address tab, point to TCP Port in Last section, change TCP Port to 1433, and click Apply button. Restart the SQL Server(SQLEXPRESS) using right mouse click over SQL Server(SQLEXPRESS). Next, create an exception in Windows Firewall. Click OK, and click apply. Lastly, here's an alternative process to create exceptions in Windows Firewall. Click Start, point to Administrative Tools, open Windows Firewall with Advanced Security. Click Inbound Rules, Click New Rule link at the top of right section. Select Port radio button, click next. You will need the IP Address and Port that SQL Server has been configured to use before you can access your databases remotely. Starting with Windows 2008, you no longer have to install printer drivers on the server and that's because Microsoft added the Terminal Services Easy Print printer driver to Windows 2008 to make client printing, well easy. Still, you may find you are having a problem with client printers showing up on the server. If so, here's a checklist you can follow to ensure client printing is properly configured. 1. Check the Spooler Service is set to automatic start and is running. 2. Check that Windows Printer mapping is allowed on the server. 3. Check that the Group Policy is not preventing client printer redirection. 4. Check the Terminal Services UserMode Port Redirector service is started.